L/R Analog inputs and outputs and two independent Composite MPX outputs. 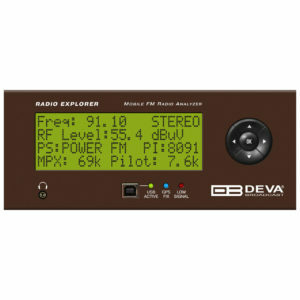 The DB64-FM is the ultimate audio processing solution offered by DEVA bringing to you unheard-of balance between quality and price. It guarantees perfect clarity of sound and a multitude of features that are unrivalled in its class. 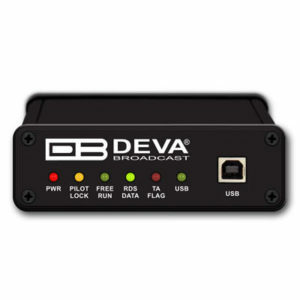 In keeping with the other members of DEVA’s audio processors family, this device is an outstanding blend between dependability and functionality. The all-digital DSP-based design, the 4-band processor and the advanced wide band AGC are just a few of the parameters that ensure its top performance. 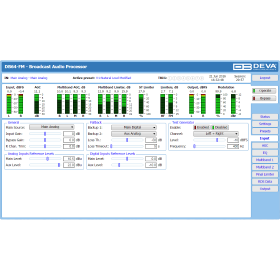 As part of its long and well-established tradition of occupying just the right market niches and supplying the broadcasting world with products that stand out as the best answer to customer needs, DEVA is yet again delivering a tool of undisputed quality and surpassing even its own high standards. 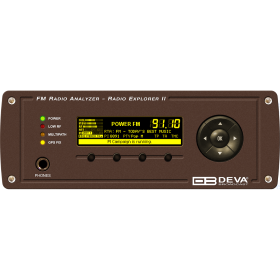 A device appropriate for all LPFMs and featuring a 4-band processor with Fidelity and Sound Impact System, the DB64-FM makes no compromises with sound quality. 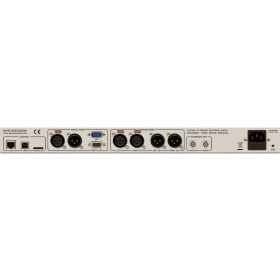 Among its wide variety of features are the FM controlled distortion limiter, the analog and digital audio outputs, two independent composite MPX outputs, as well as its ability to detect signal loss and switch over to a backup source. Automatic notifications are sent upon input or preset change via email or SNMP. 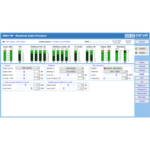 As any other DEVA product, with this one our engineers have also opted for the user-friendly design and operation. Parameters can be easily viewed on the OLED display with the help of the full-time LED meters. Access to setting up, programming and control of the device is provided through the front panel, but also through the built-in web server for remote control via TCP/IP connection. 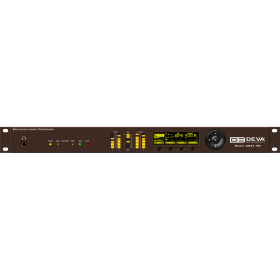 The DB64-FM is a one-of-a-kind device that has never before been introduced to the broadcasting market – a tool with an impressive all-round performance that provides the ultimate combination of features at a sensational price. Quality has never before been so affordable.